Fresno Mayor Lee Brand put human traffickers on notice Wednesday morning. We’re coming after you. We’re arresting you. You’re going to prison. And here’s one more thing: The flophouses on Parkway Drive and Blackstone Avenue better clean up their acts. If they don’t, the city will take them over. No ifs, ands, or buts. Talk is one thing. Action is another — and many millions of dollars more expensive. This Is More Than Talk. It’s a Community Effort. But the Mayor’s Initiative to Combat Human Trafficking has the muscle and the community-wide backing to run most of the pimps out of Fresno and, more importantly, prevent vulnerable young girls from being forced or talked into prostitution. All too often Fresno cannibalizes itself. It’s the city vs. the county. Or a half-dozen nonprofits — all dedicated to the same purpose — competing for donors and grants. The Mayor’s Initiative to Combat Human Trafficking has the muscle and the community-wide backing to run most of the pimps out of Fresno and, more importantly, prevent vulnerable young girls from being forced or talked into prostitution. However, this effort is the result of nine months of planning and coordination. All the angles are covered: identifying and rescuing victims, providing shelter and counseling, gathering data, arresting and prosecuting human traffickers, stamping out the hotbeds of prostitution, and raising awareness. 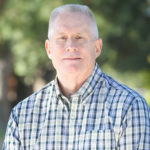 ‘The work of this group has given me even greater hope that a unique, community-wide, collaborative approach is emerging here in Fresno that is not only gaining momentum in terms of impact but also deserving of our continued support and investment,” Brand said. Someone might want to post those words in capital letters on billboards all over Fresno County. There’s more hard work ahead, especially involving the shape-up or ship-out ultimatum to motel operators whose bottom line hinges on prostitution and renting rooms by the hour. The Fresno City Council must sign off on new, tougher ordinances aimed at making the Parkway Drive and Blackstone motel owners clean up their acts. Revised laws are needed to close down massage parlors that are fronts for human trafficking. Also, the council must ensure that the police department and code enforcement have the funding for undercover operations such as the one March 13 yielding the arrests of 25 “johns” for allegedly soliciting prostitutes. Looking ahead to the opening of licensed marijuana dispensaries in Fresno, it’s possible that cannabis tax revenues will be tapped. The Fresno County Board of Supervisors also must prioritize funding for the district attorney’s office to prosecute human trafficking and for behavioral health to provide services for human trafficking victims and at-risk youth. It is the job of Brand and others to pursue state and federal grants to bolster the effort. They’ll likely succeed because of the data-gathering effort headed by Fresno Pacific University’s Center for Community Transformation. The goal is to identify the most effective strategies for education, prevention, and healing. Over the last decade, law enforcement and the justice system have changed their thinking and approach to human trafficking. As Dyer explained Wednesday, he used to think of prostitutes as law-breakers, not victims. Among the people shaping this change locally: Sarah Johnson, a program manager with the Fresno Economic Opportunities Commission, and Debra Rush, co-founder of Breaking the Chains. When victims began showing up at EOC’s Sanctuary Youth Center 10 years ago, the agency sprang into action by forming Central Valley Against Human Trafficking. That effort, Johnson says, has identified more than 800 trafficking victims since its inception in 2009 — including about 50 thus far this year — and connecting them to healing services. Rush, a human trafficking survivor, has become one of the most visible public faces explaining that prostitution is not the “victimless” crime many people claim it to be. “The end result we all want is to protect our children,” Rush said. Along the way, cops and prosecutors will make life difficult for gangs who utilize the high-margin profits from prostitution to buy guns and drugs and, sometimes, pay off witnesses. What’s the Future for Some of These Motels? As it is likely that some motels will end up in the city’s hands, an obvious question arises. What happens to these buildings? They could be leveled. Or sold to operators who can afford renovations and come with a business plan that doesn’t depend on prostitution. Some California cities, Brand explained, have converted their flophouses into affordable housing or transitional apartments for the homeless. The mayor acknowledged that such conversions may require the city to overcome NIMBY objections from nearby residents and businesses. But that’s a debate for down the road. The news today is only good. 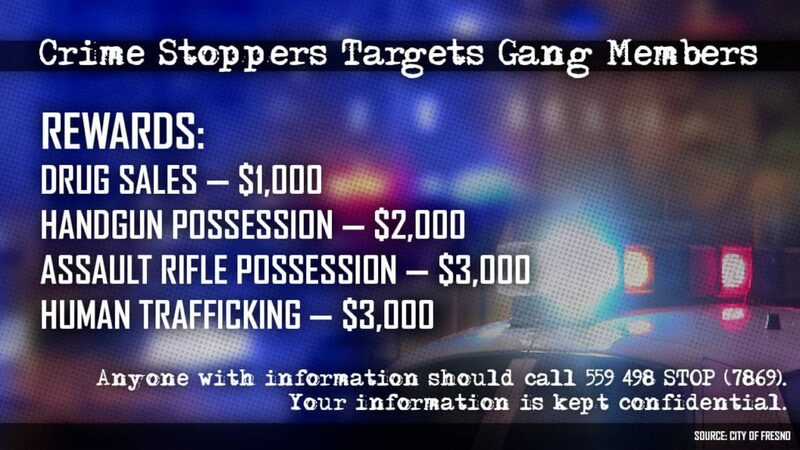 Fresno is teaming up to rid the city of human traffickers and gang-bangers, and to protect young girls. This time, the good guys are all on the same page. And, they have a real plan.